Nothing forces you to stop and think like being confined to a hospital room. We live such busy lives that we rarely, if ever, take time sit and reflect. When was the last time you stopped to appreciate the beauty of a sunset, the scent of freshly bloomed flowers, or the sound of children playing? When was the last time you listened, I mean really listened, to well composed music, or read a good book? When was the last time you made quiet time to spend with God, or read and meditated on His Word? If you are anything like me, then you don’t do any of these things nearly enough. The past several weeks have really brought to light the little things in my life that I tend to take for granted. Blessings that almost seem small but when they are no longer there their enormity really sinks in. It’s in these quiet moments I see more clearly the goodness and provision of God, but I also see the ugliness and inconsistency in myself. It’s in these moments when the gravity of the cross and the grace of the gospel sink deeper into my heart and soul. Nothing drives home the realization of the frailty of life and your complete helplessness like seeing your child lying in a bed with so many lines hooked up to her that they look like a ball of spaghetti. Watching her little chest rise and fall knowing that it is only possible because of the ventilator she is connected to. Watching the rhythm of her heart beating knowing it does so only because of the medications being pumped into her body. Knowing that if the machines were turned off life would slowly leave her body. Knowing that the outcome of this situation is completely out of my hands. Sometimes this reality can become overwhelming and I break down and weep. 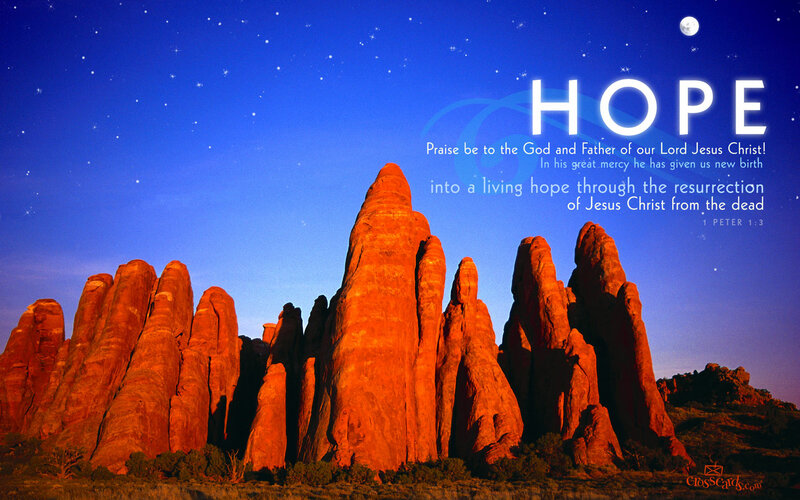 It is in these times when the sovereignty of God and hope in Christ are most real. Even when things seem to be their darkest, I have hope. When the situation doesn’t seem like it could get any worse, I have hope. When it seems like one set back after another, I have hope. When I suffer and am in sorrow, I have hope. Hope and even joy! In the words of Paul I am grieving yet always rejoicing (2 Corinthians 6:10). How can this be? How can I be joyous while suffering and sorrowful? I have joy because of where my hope lies. My hope is not in things getting better. My hope is not even in my daughter being made well. If those are the places where my hope lies then it is a fickle hope and dependent on circumstances which are constantly subject to change. No, my hope and my joy do not rest on things or circumstances. I am able to have joy because my hope rests on Jesus Christ my Lord and Savior! I, as well as my daughter, because of the grace of God through faith in Jesus Christ, have been given a new birth into a living hope through the resurrection of Jesus Christ from the dead, and into an inheritance that is imperishable, uncorrupted, and unfading, kept in heaven for me, who is being protected by God’s power through faith for a salvation that is ready to be revealed in the last time (1 Peter 1:3-5). It is in this that I rejoice! We will face trial and sorrow and suffering in this life but it is only for a short time (1 Peter 1:6). If you confess with your mouth, “Jesus is Lord”, and believe in your heart that God raised Him from the dead, you will be saved (Romans 10:9). Place your faith in Jesus and there you will find hope and indeed joy. Thank you for these encouraging words. You’re soooooo right. There’s nothing like a sick child to make you realize what’s truly important in life, and what wont even matter tomorrow. If our hope was in things of this world ,people, and our own understanding, we would live in a constant state of fear & worry. “For God didn’t give us the spirit of fear: but of power, and of love, and of a sound mind.” 2Timothy 1:7 Thank Him for Philippians 4:7 ” and the peace of God, which passes all understanding , shall keep our hearts and minds through Christ Jesus.” I’ve felt this peace and it is indescribable. How else can a mother hand over her newborn baby to a surgeon for open heart surgery at just five days old, then less than an hour later, fall asleep in the waiting room?!! It’s real & beautiful, and free to us all. (and straight from God) He knows our pain; He knows the plans He has for us; and will never leave our side. You may have heard this song, but I would encourage you to listen carefully to the words of Mercy Me ” The Hurt and the Healer” . This song was played at my cousin’s funeral after he committed suicide. It’s hard to listen to sometimes, but so very helpful. Praying for healing of hearts and the strength to move forward. Beautifully written, wonderfully articulated, such wisdom in this message.